Wow. What an amazing and blessed year we’ve had. In January, the Queen and I decided that we would call 2013 “The Year of Us”. Not in a selfish way, of course. But a year dedicated to really living life with gusto rather than just living. 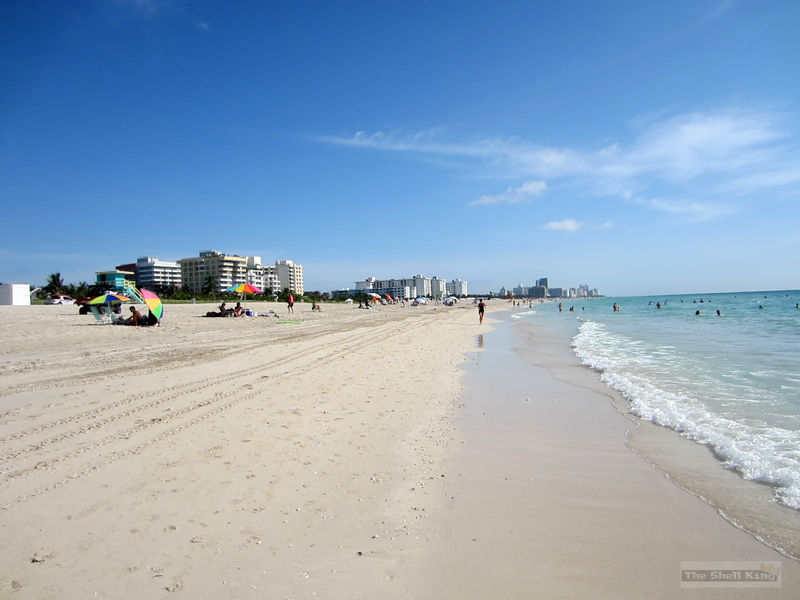 So in December of 2012, we sat down and decided to do the Florida Beaches Royalty Tour, where we visit one beach every month. Had we known in advance how much fun we would have, we would have decided to do this a long time ago. We picked twelve beaches and took over 1200 pictures. Unfortunately, with so much going on in the month of December, we couldn’t make our twelfth stop. So we decided instead to go to the Caribbean for Christmas and hit five beaches. 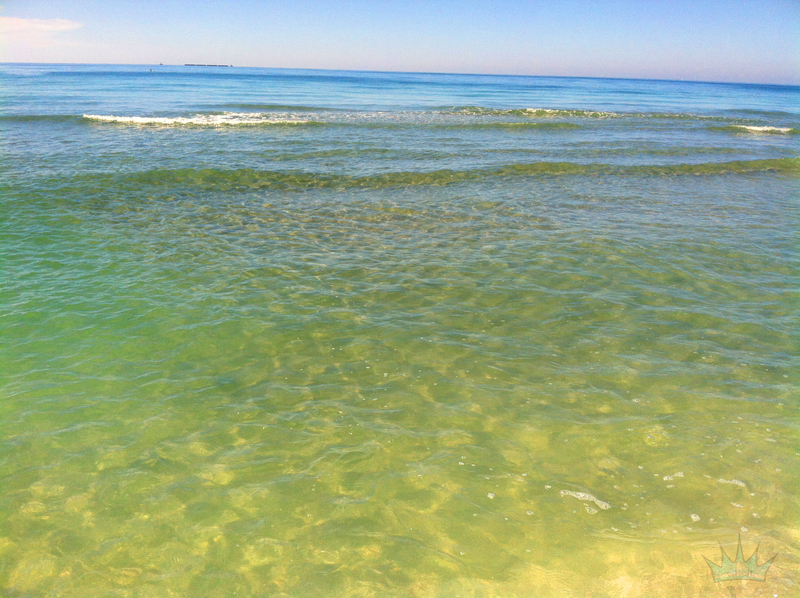 Eleven months, eleven Florida beaches – all eleven of them so much fun….and all eleven of them affordable. From our January stop in Manasota Key for shark toofs, through Anna Maria Island, South Beach, Sebastian, Tigertail and all the way down to Key West, it’s been a blast; and one that will not break your budget if you decide to go on the same tour we did. Nearly every stop we made is pretty much a day trip from Fort Myers/Sanibel. In some places we decided to stay a couple of extra days, but with a little internet searching we were able to do it all affordably. Fun on a budget? Yes siree. Travelocity and Hotwire were our friends this year and they can be your friends too. 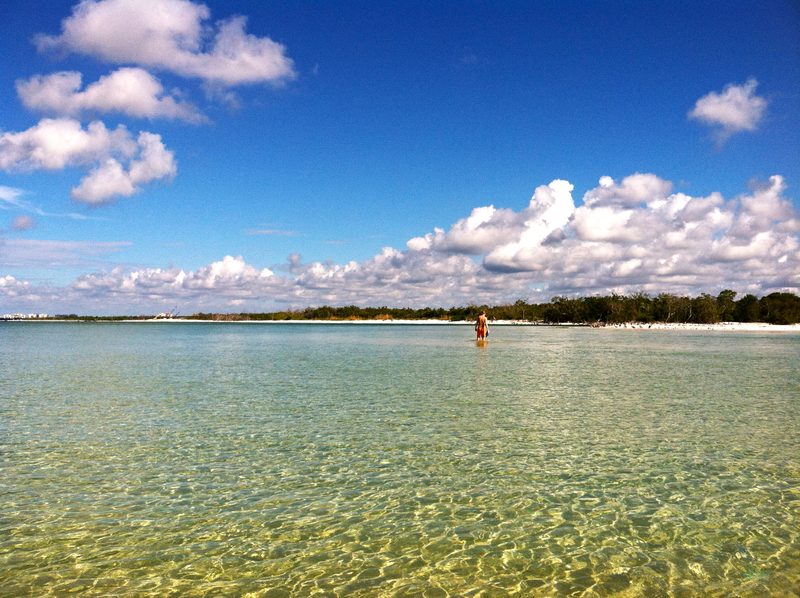 Out of all eleven beaches we visited, Key West and Islamorada stand out as my favorites. 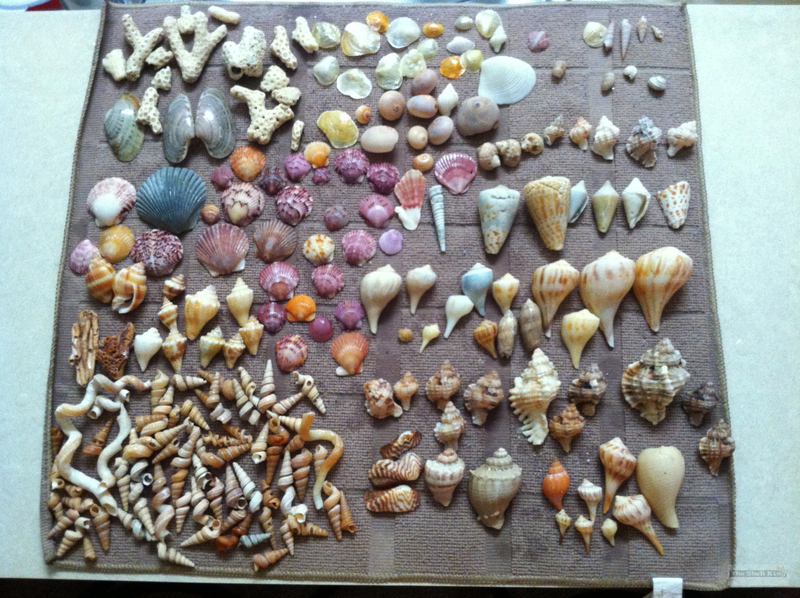 However, we loved every beach we visited and each one has something specific and different to love, including the many shell species found in Florida. Fort Zach in Key West really had the most spectacular water the States have to offer. Heck, the entire Florida Keys is like that. 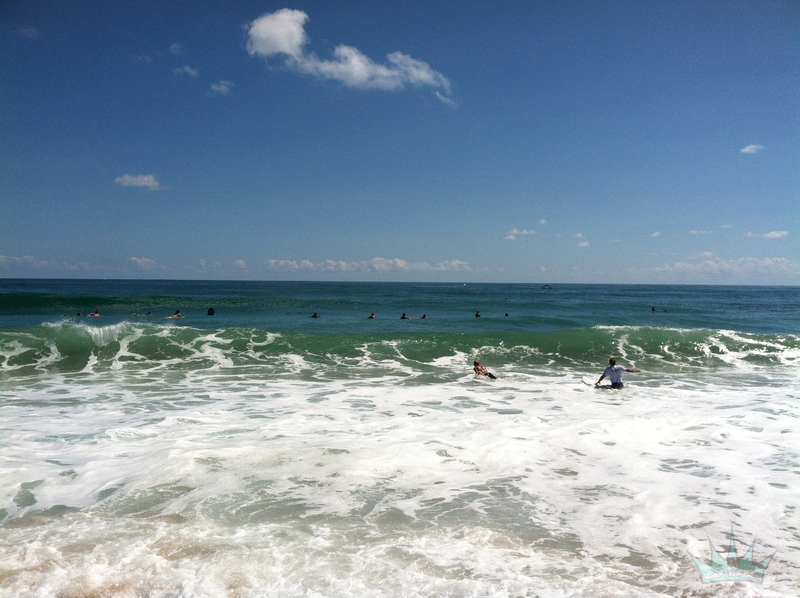 Sebastian Inlet didn’t give us much in the way of shells, but we got to see a live surfing contest which made up for it. 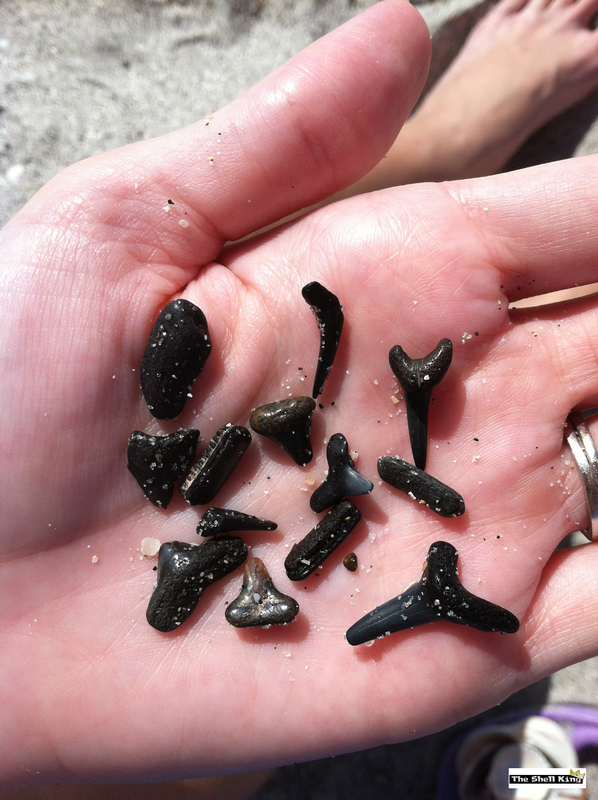 Manasota Key brought us 127 shark teeth. 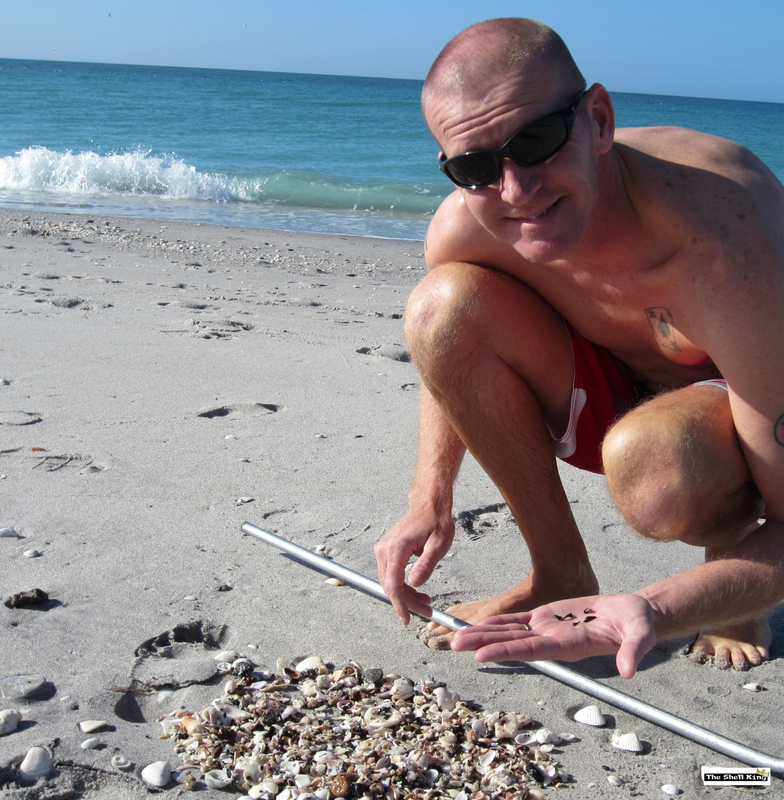 Tigertail on Marco Island brought us handfulls of Top Shells. 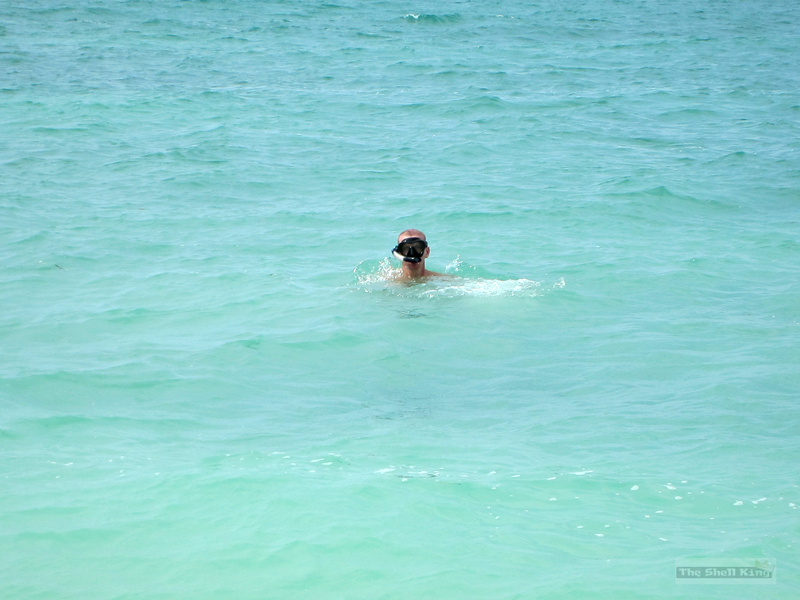 Siesta Key is a TOP place to snorkel on the mainland. 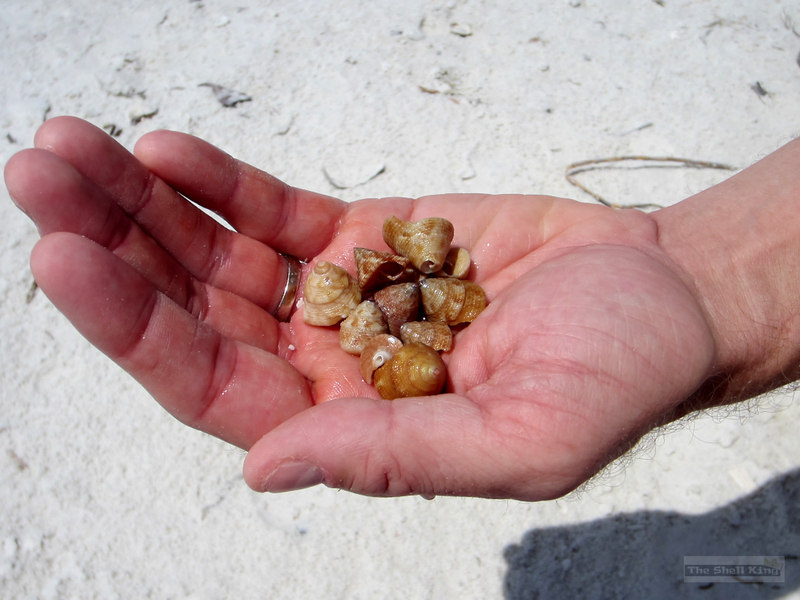 If you’re not into shelling and snorkeling and you wanna sit around and watch naked people, well there’s South Beach. And of course, there are our home beaches which almost always come through for us and brought in mountains of shells most of the year. But the most important thing to the Queen and I in 2013 was the impact this site has had on its visitors. People we’ve never met sent messages and emails all year telling us how much they enjoy reading this blog, looking at our pictures and experiencing all the fun we’ve been having themselves, as though they were riding along with us. The fact that you have taken the time to let us know how much you appreciate us and what we do here – well that means more than anything to us. We are humbled. We are blessed. We are thankful for you all who stop by and visit us here on our blog and on Facebook. Thank you. If we can really emphasize one thing about this year to pass along to you, it would be this – Don’t just live your life. Really make it a point to LIVE your life. Whether you know it or not, there are things to do all around you that can make your life better simply by doing them. Wanna have fun in your life? Then make time for fun. Work hard, play hard. Love and impact others. So you may not have much money. So what? As I mentioned above, most of these trips we took were trips you could do in a day and they weren’t so expensive that they left us broke at the end of the weekend. Of course, Key West and Islamorada cost a bit more due to the distance and time spent there. But really everything was within 2-3 hours from us – so that’s gas, parking, lunch and/or dinner . So do a day trip. Grab a map of where you live and mark off a circular distance 90 minutes from your home. Stuff $50 in your pocket and make that your budget. Fill up the tank and GO. A great place to start is FIND FESTIVAL DOT COM. Experience life. Live it. Take pictures of it. Tell people about it. You’ll find very quickly that by doing that, you are living. I have to say, I think I’ve had more fun in 2013 than the last ten years combined. We don’t know what we have planned in 2014, although I’m sure the Queen and I will sit down over the next few days and set some goals for the upcoming year. But I can promise you one thing – whatever we do, we will have fun doing it. God bless you and yours and have a happy, safe, blessed and successful 2014. From TheShellKing.com, we wish you all a Merry Christmas and a Happy New Year!